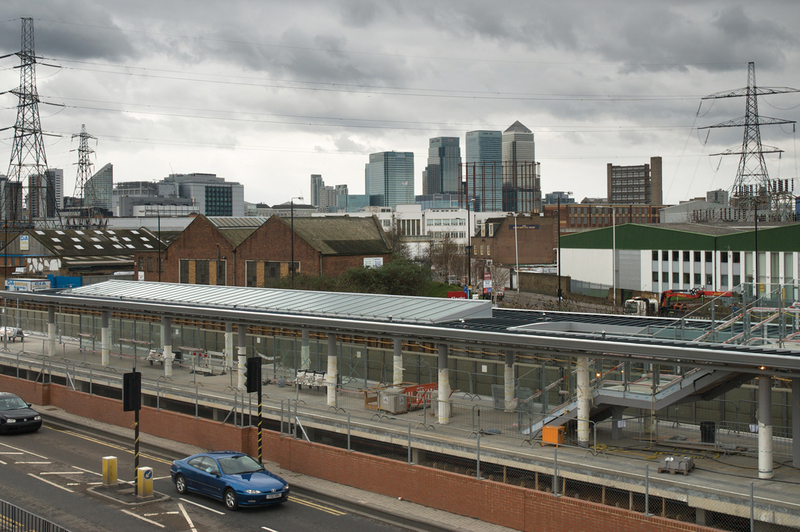 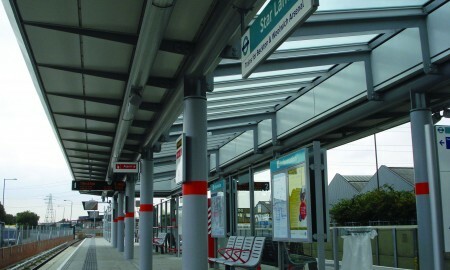 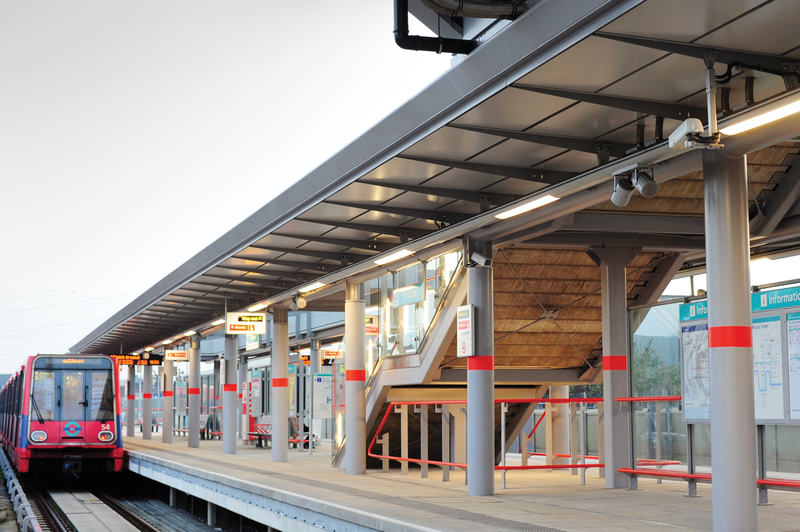 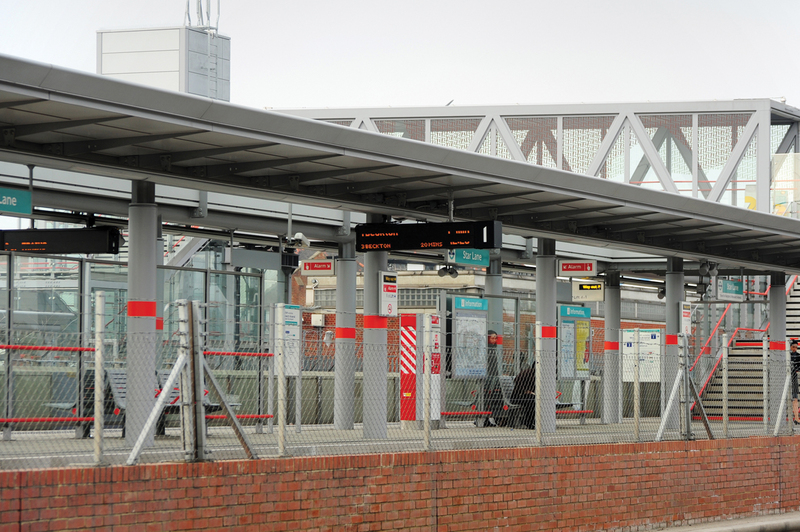 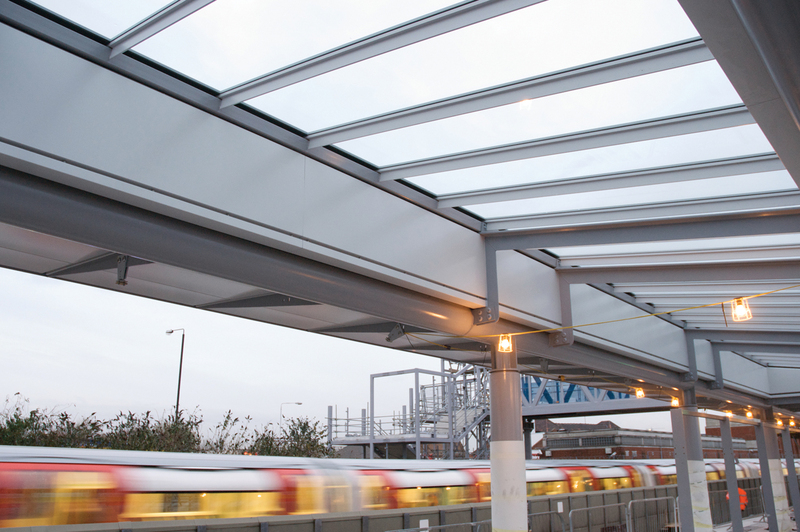 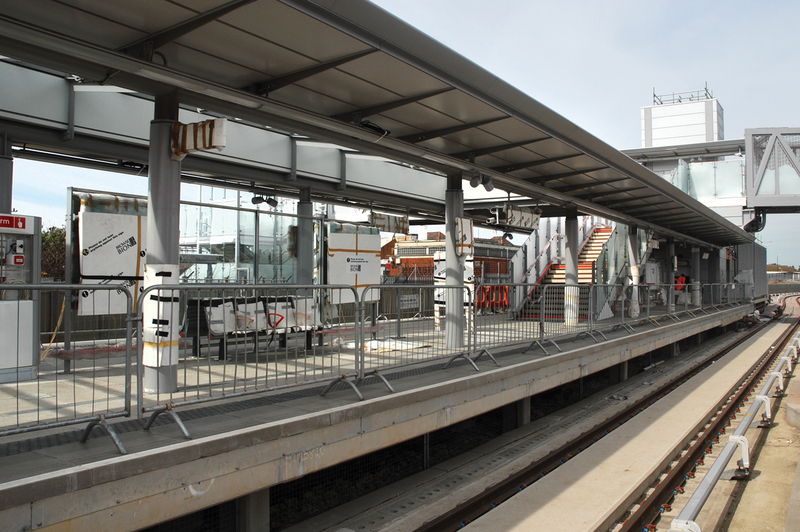 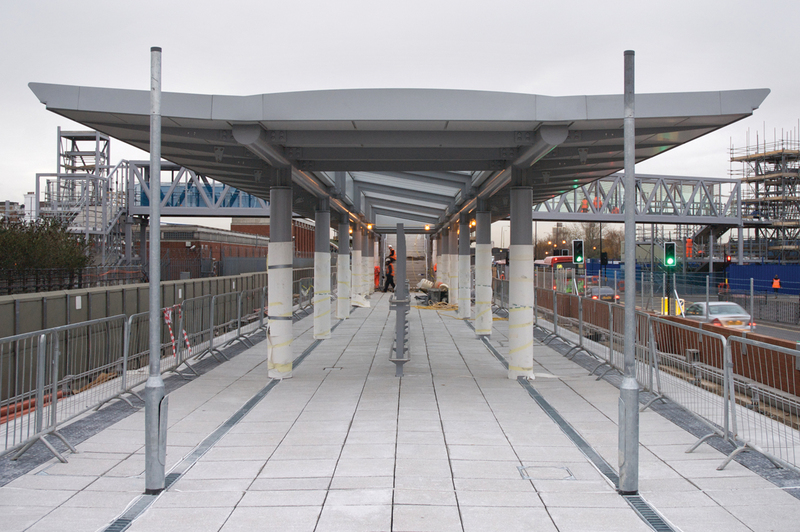 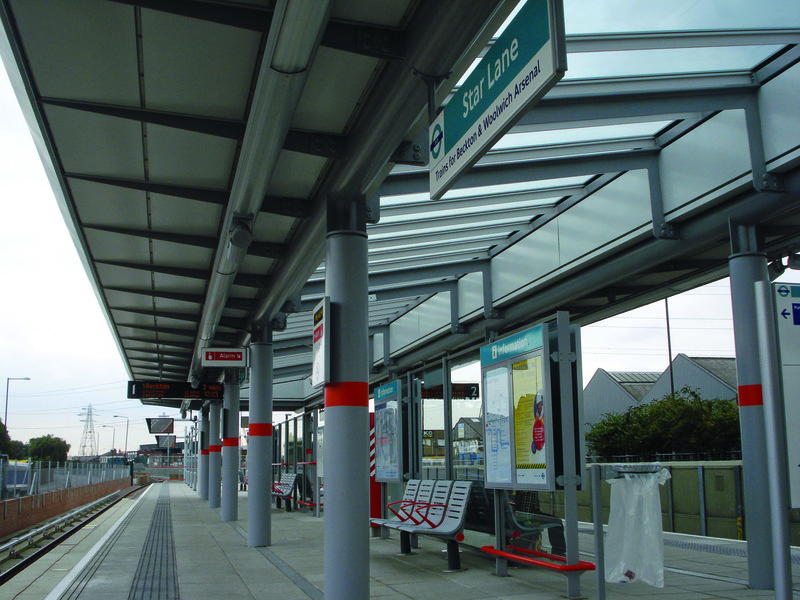 A double cantilevered canopy provides shelter for rail passengers. 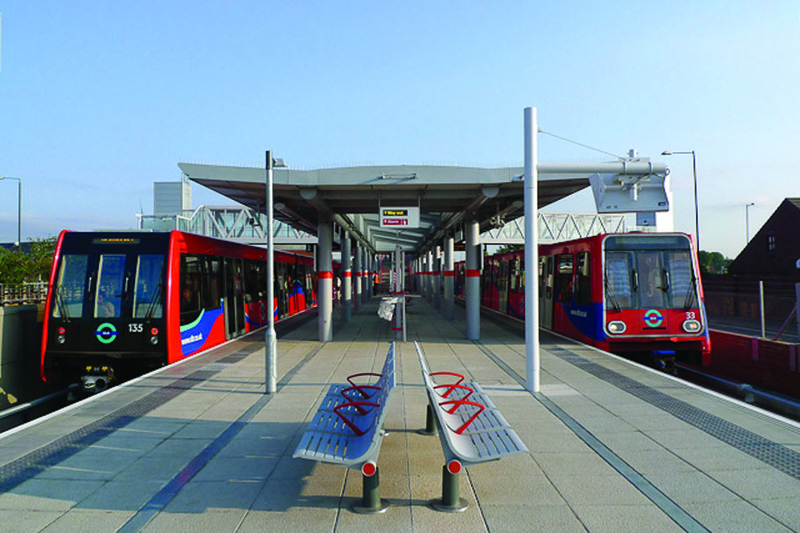 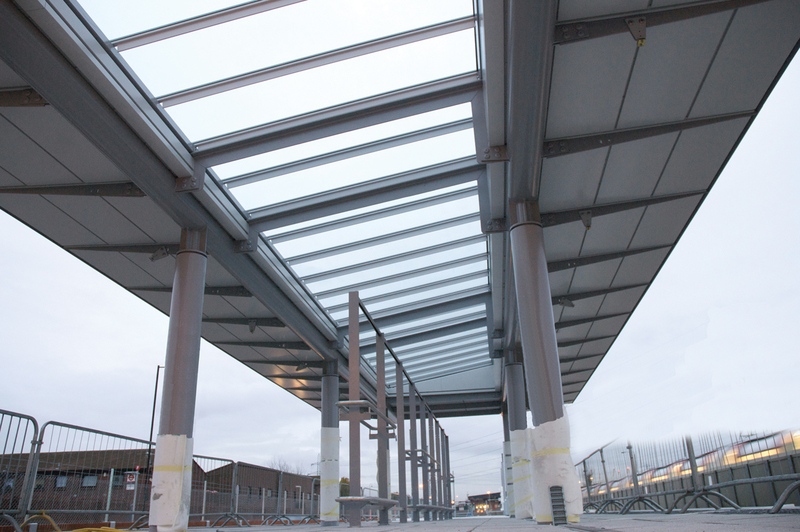 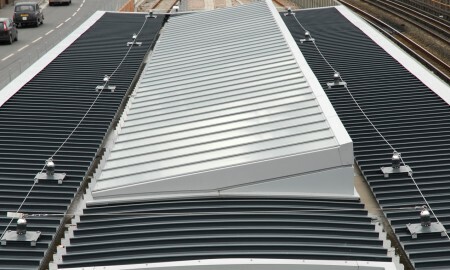 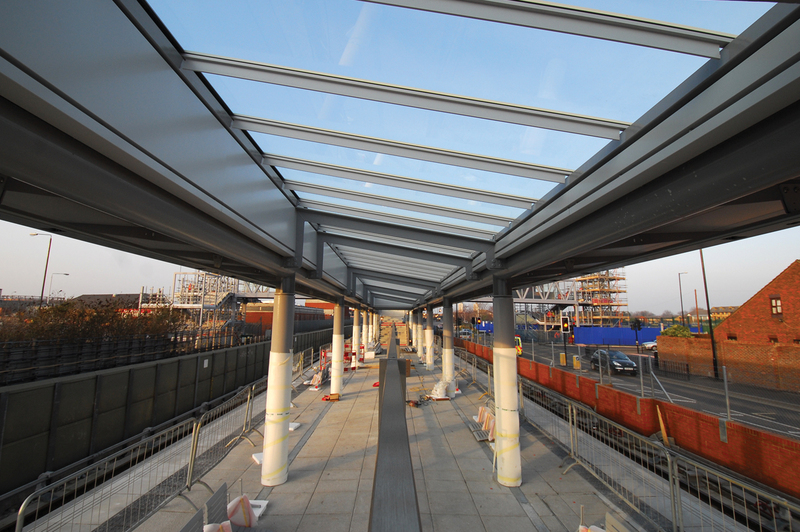 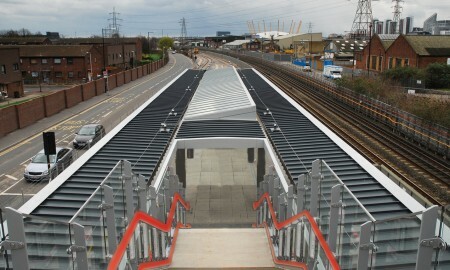 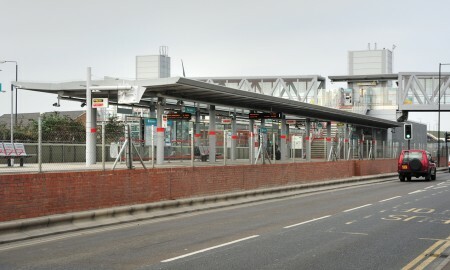 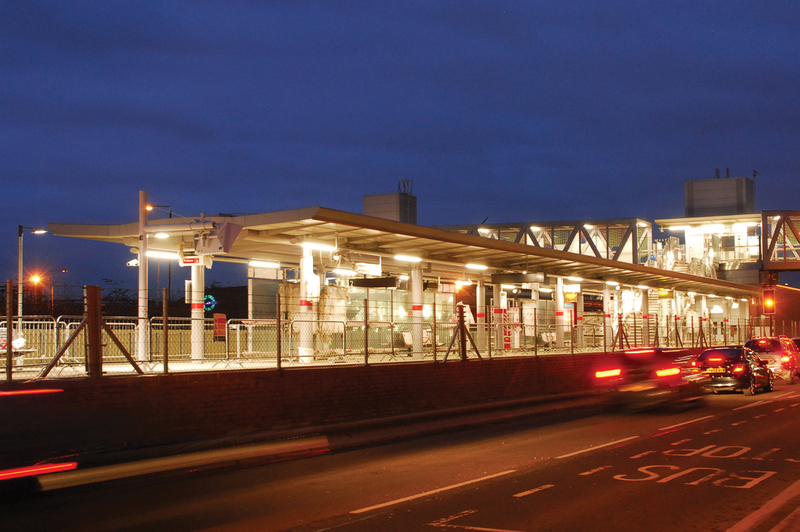 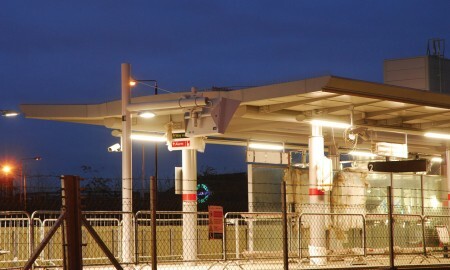 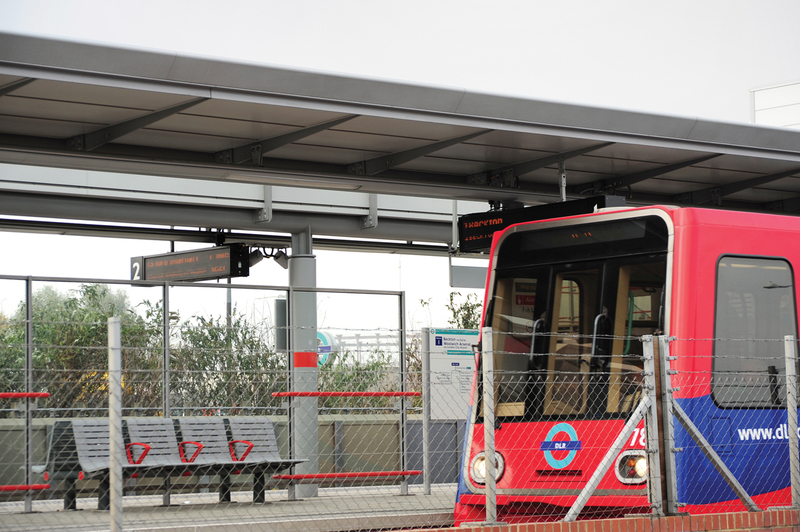 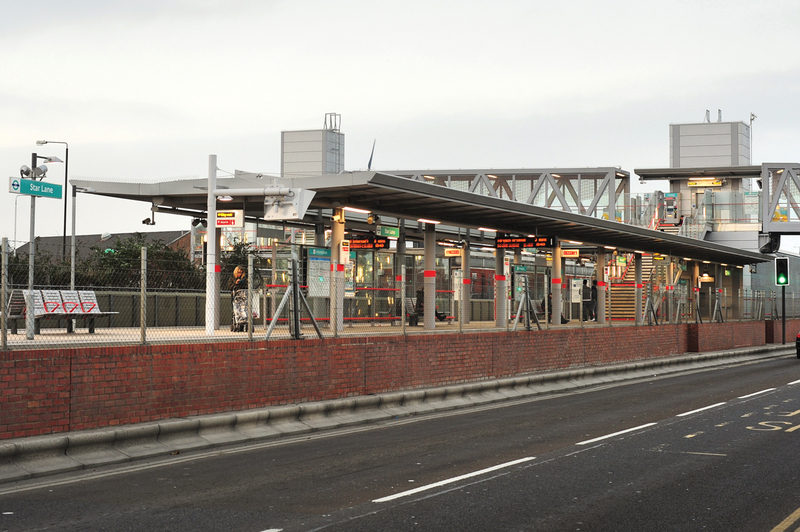 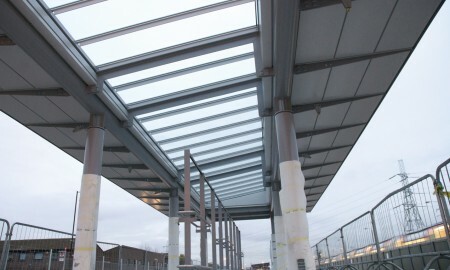 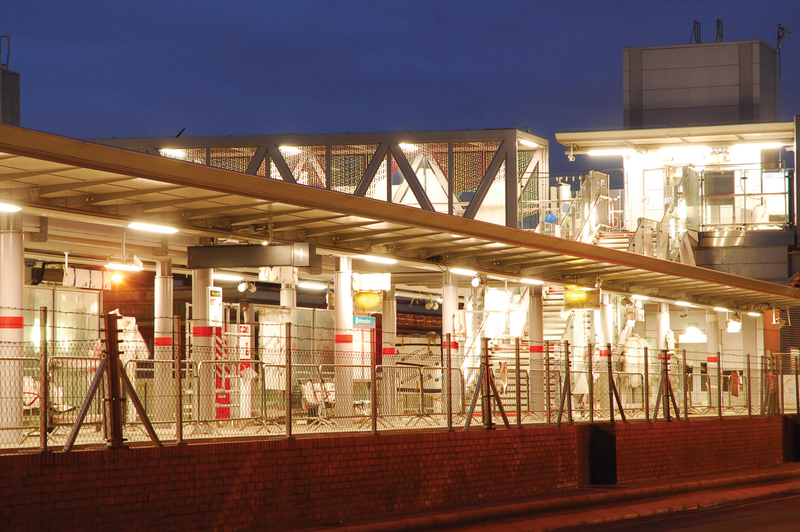 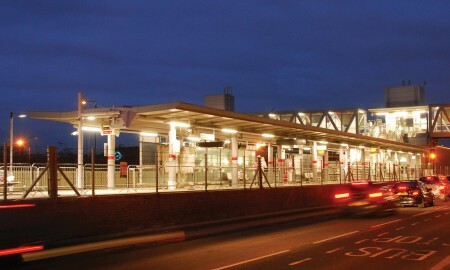 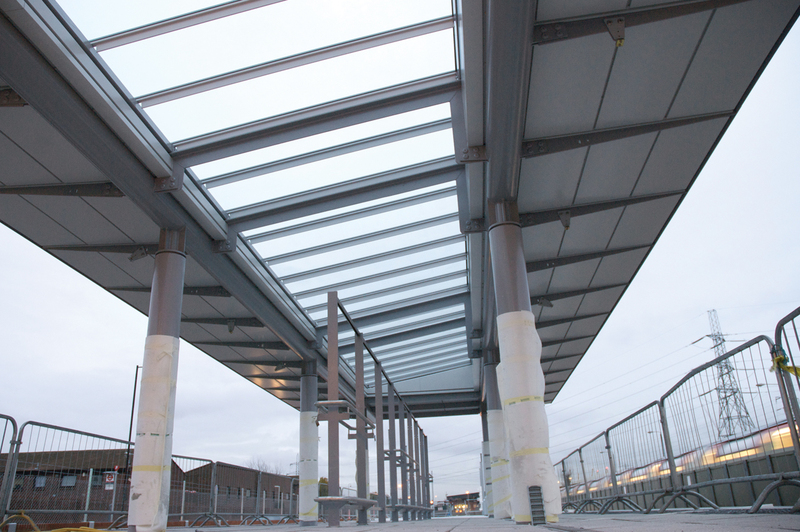 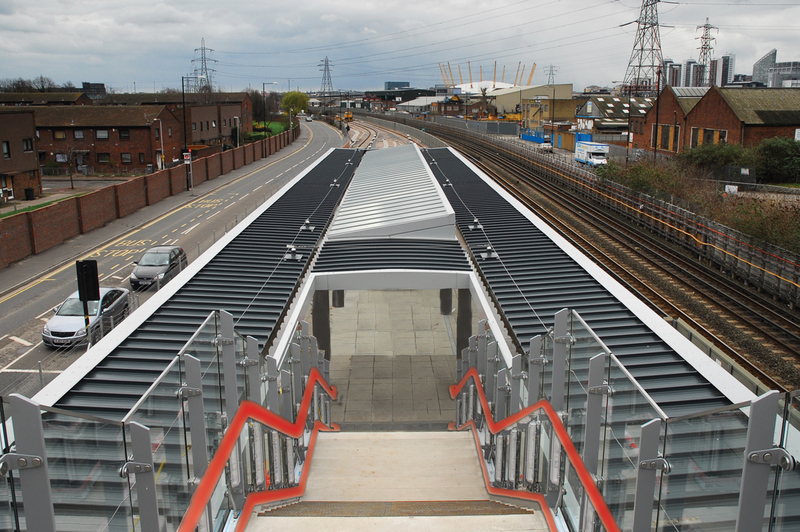 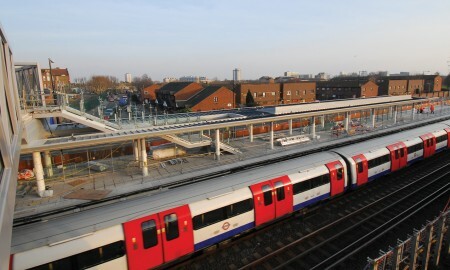 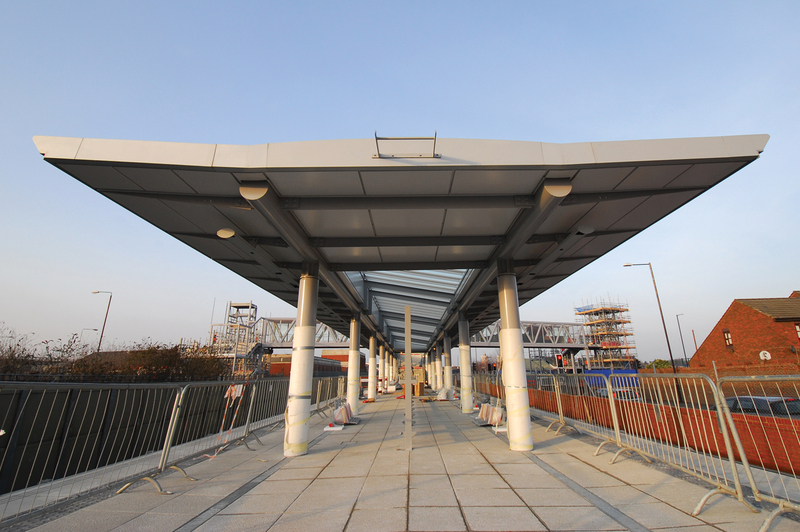 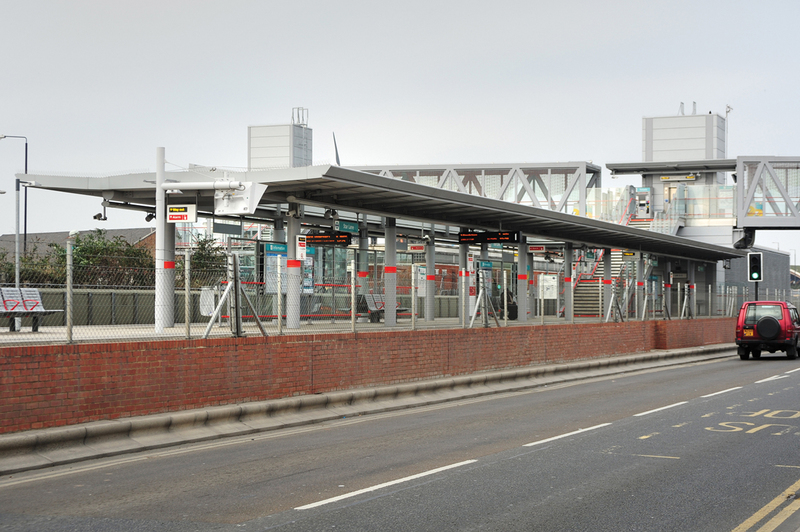 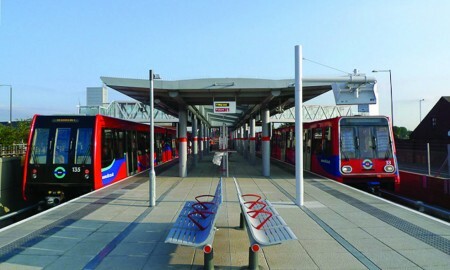 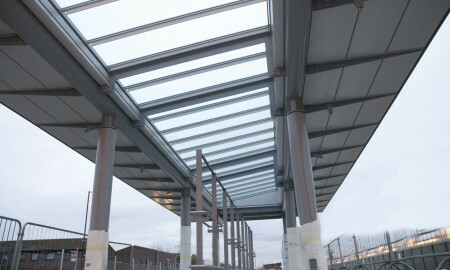 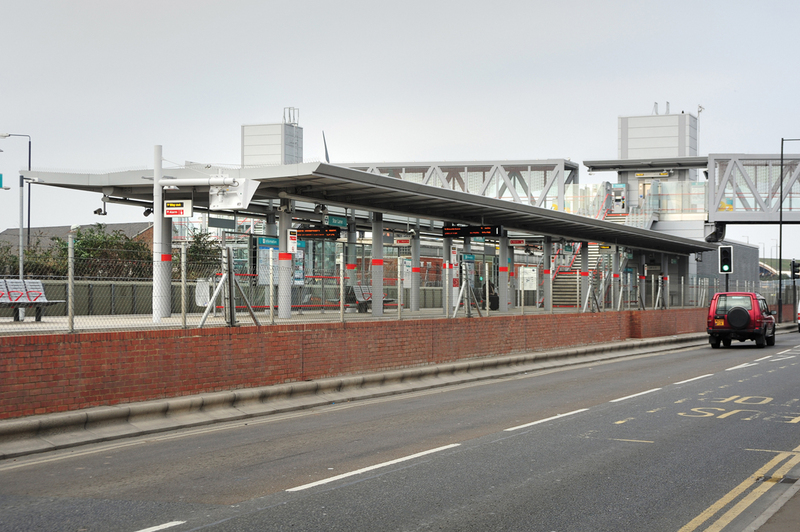 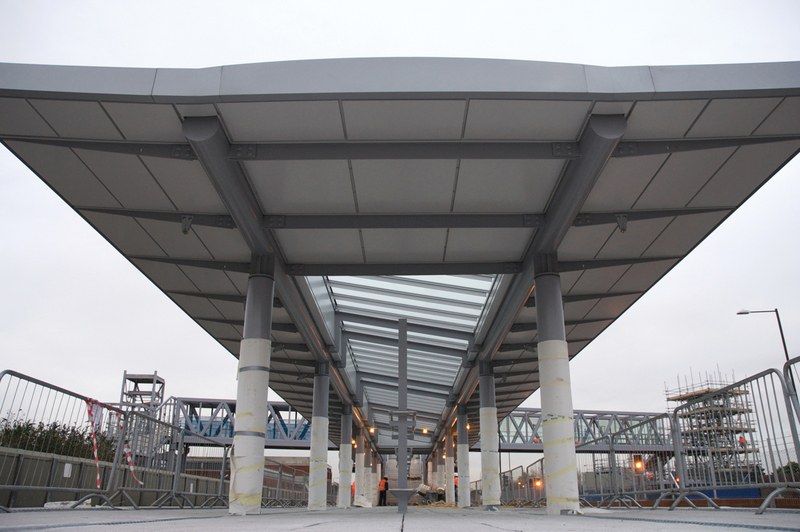 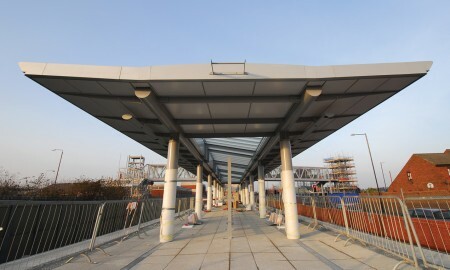 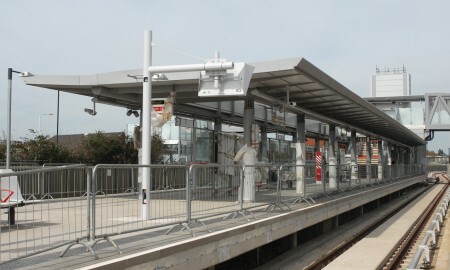 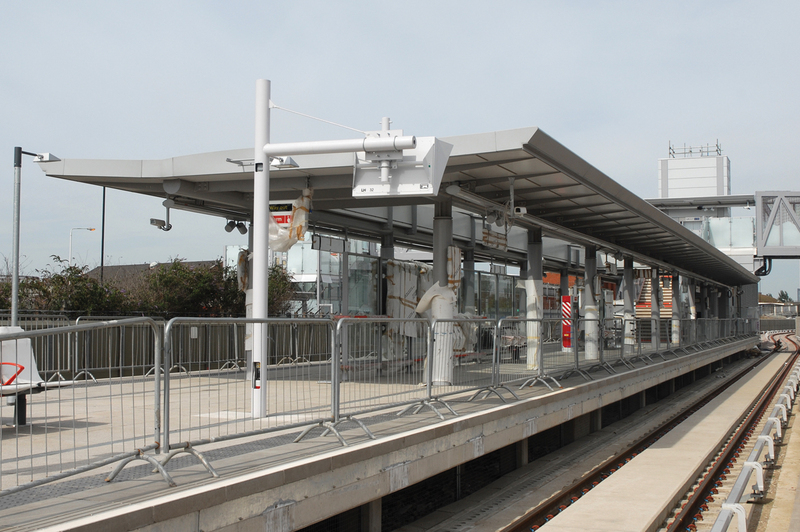 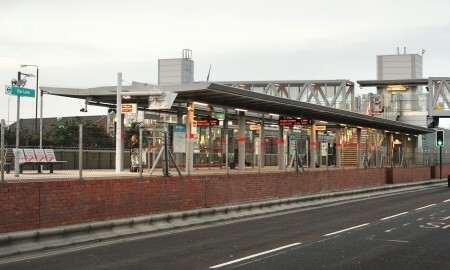 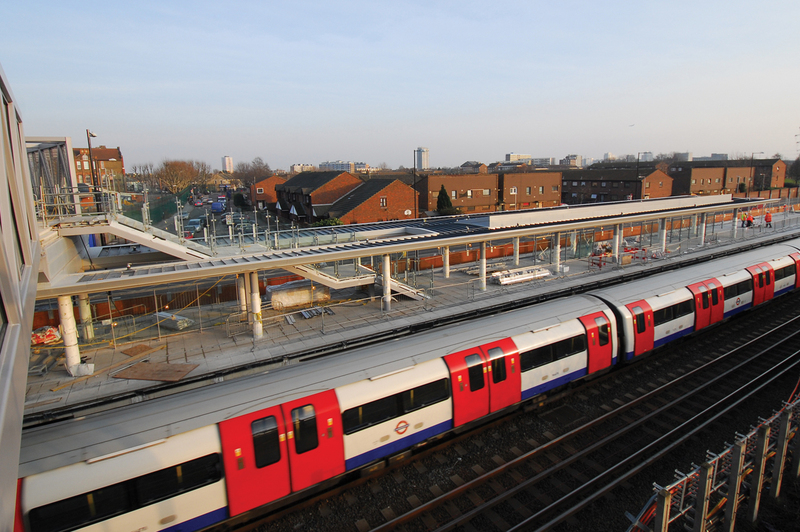 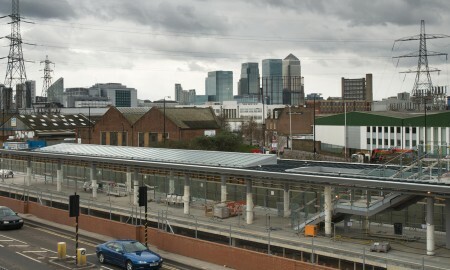 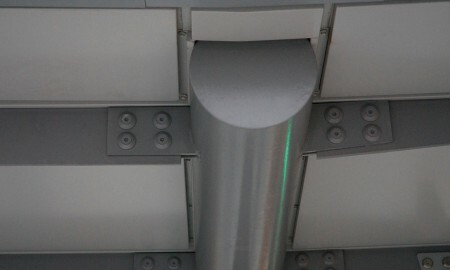 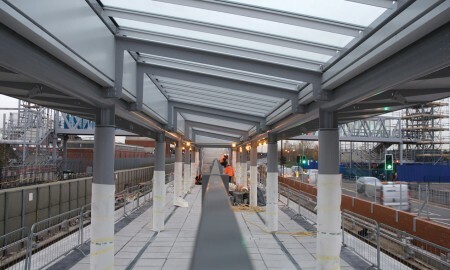 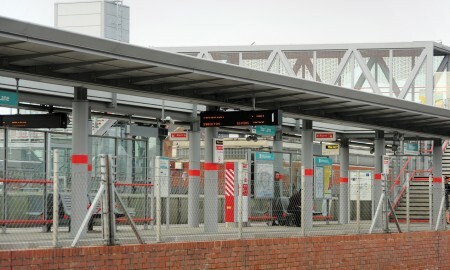 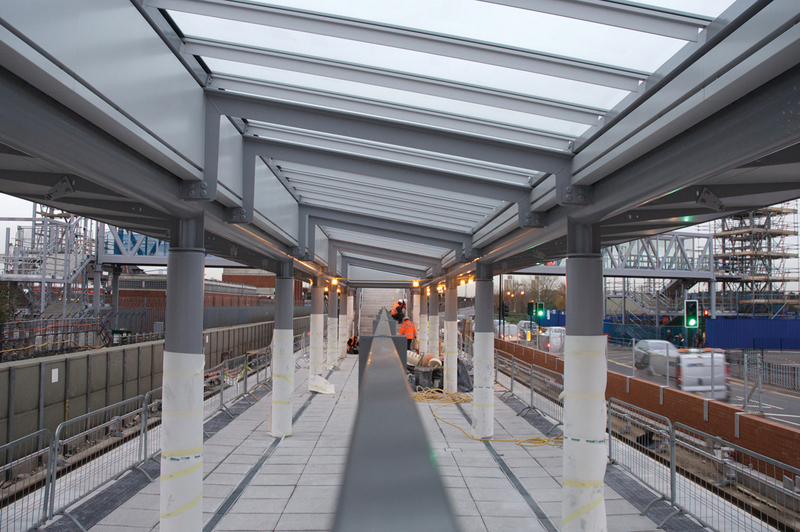 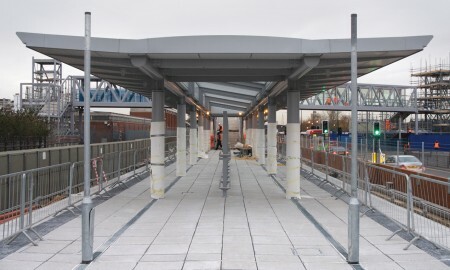 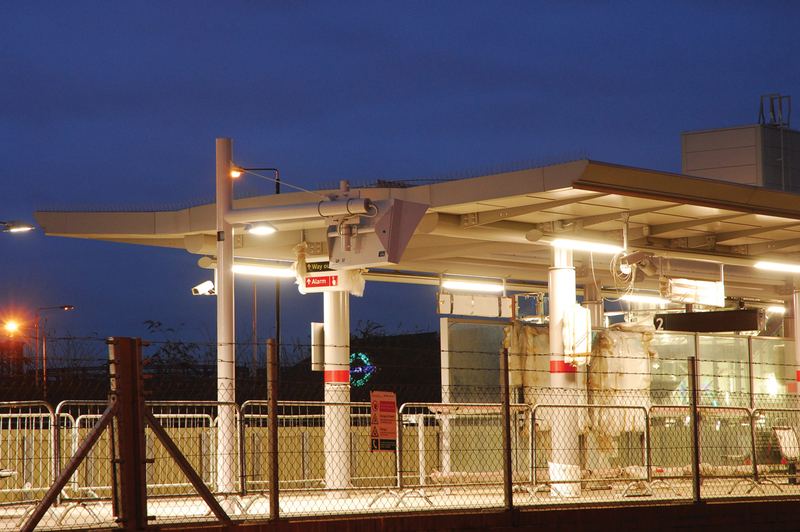 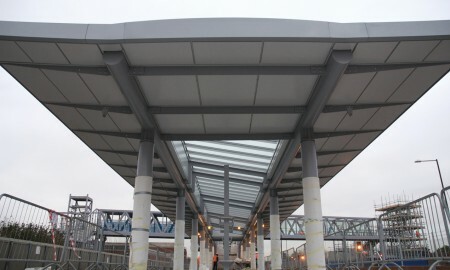 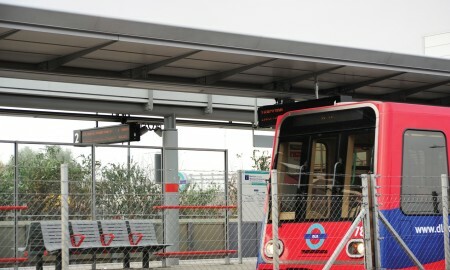 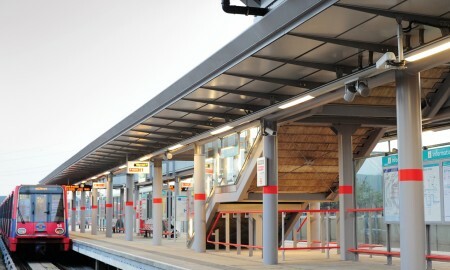 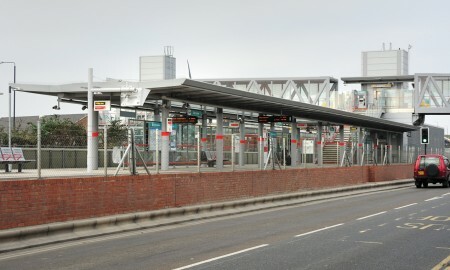 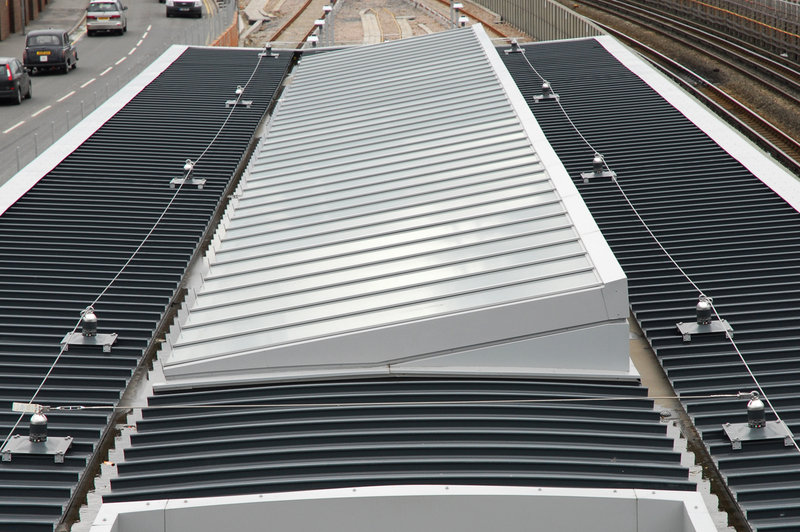 The canopy was designed in line with architects intent and features a monopitch glazed section to allow natural light through onto the platform. 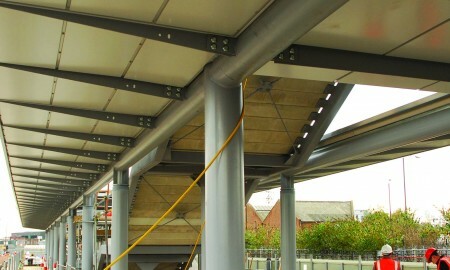 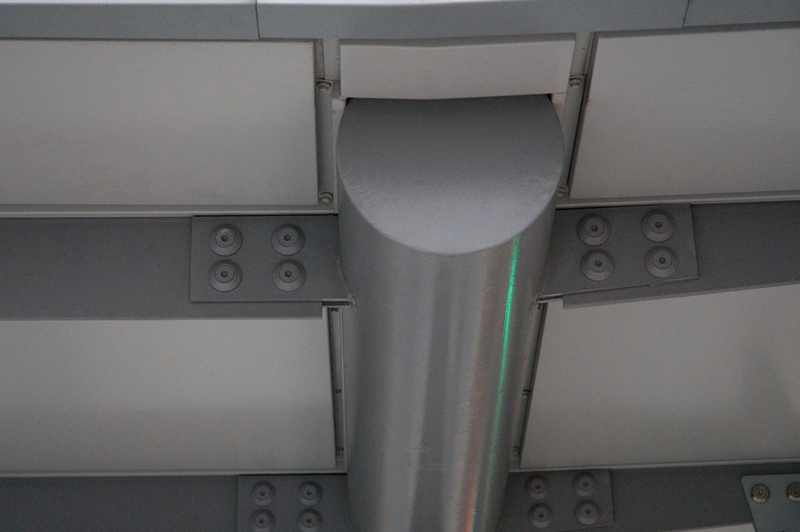 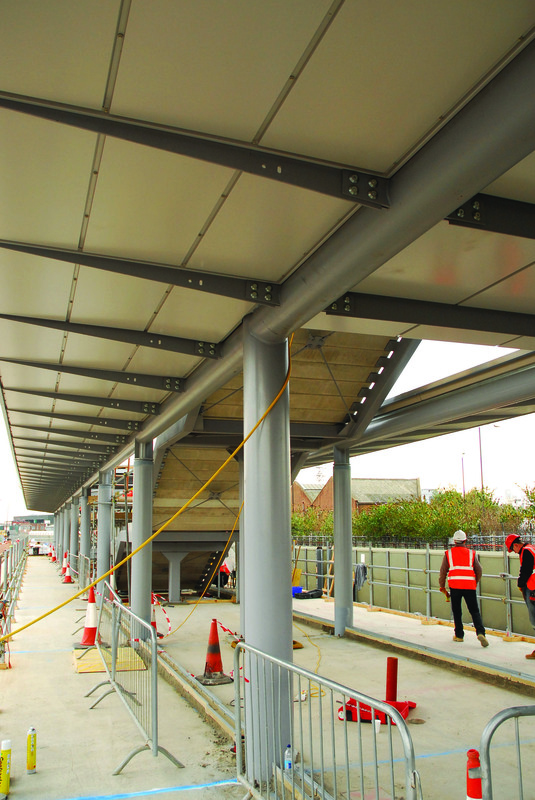 An architectural ‘Bullnose’ and soffit provide aesthetically pleasing lines, while hiding unsightly steel structure. 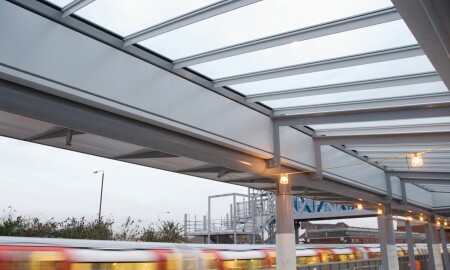 These features combine to give a modern clean look to the canopy.